Washington, D.C. – Townhall Media, in a second partnership with Survey Monkey, released today the results of its September post-debate poll. • Trump (23.77%) maintains lead among Republican primary voters, however with a smaller margin over Carson (14.86%) and Fiorina (10.38%). • Although Fiorina polls third overall among R primary voters, a large plurality (about 46%) deems her the winner of last week’s debate. • Of the 48% of R primary voters who watched the CNN debate, a small minority (8.47%) said that the debate performances changed their choice of preferred candidate. • Among Democratic voters (Democrats and D-leaning independents), Sanders takes a seven-point lead over Clinton (39.1% to 32.39%). • A narrow plurality of all polled voters (42.87%) approves of a ban on abortions after five months of pregnancy, while a clear majority of the same voters opposes blocking federal funds to Planned Parenthood (64.05%). • Additional stats include polling results on the Iran deal and the continuing Clinton e-mail FBI investigation. This latest Townhall Media poll was conducted from September 18 – September 22, 2015, and surveyed a random sample of 1,978 registered voters around the country with an overall margin of error of three percent. Townhall Media began polling days rather than hours after the end of the second GOP debate, in order to better assess the longer-term impact of debate performances on voters’ decisions. 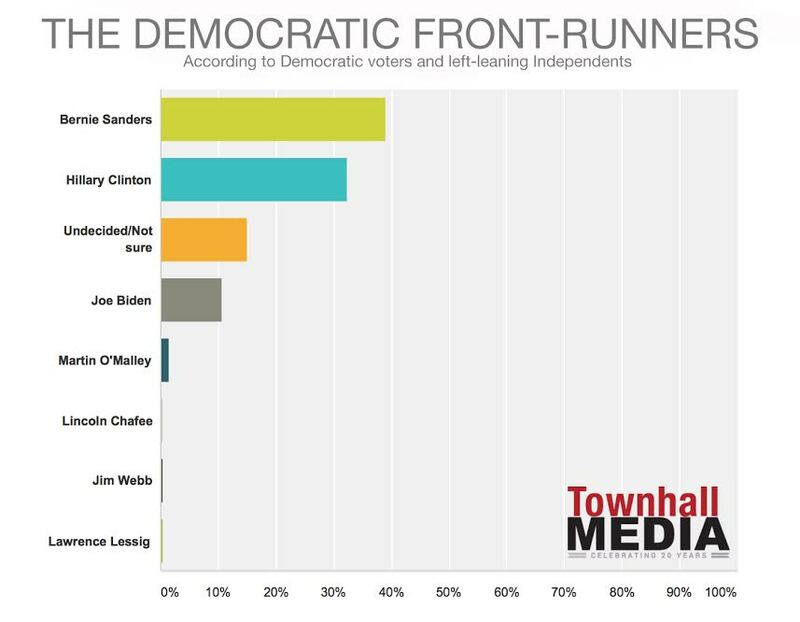 A full breakdown and analysis of the results, can now be found online at Hotair.com and Townhall.com. The Wall Street Journal released a story about the Townhall Media poll earlier this afternoon, as well. Complete details on Survey Monkey’s online polling methodology can be found on their website here. For additional information or to contact Ed Morrissey (Hot Air) or Matt Vespa (Townhall) for further comment, please contact Amanda Muñoz at [email protected].